At JMI Insurance, we show every single one of our customers the same degree of respect, attention and courtesy. Our professional and polite insurance agents have over 30 years of experience working with flood insurance, and are well-equipped to protect your home and valuables in the event of a flood. Floods can have a devastating effect on communities. They can force you and your entire family to uproot and relocate as flood waters ravage your home and your treasured belongings. In fact, floods are the most common natural disaster in the U.S., and account for billions of dollars in damages every year. The average loss reported during floods is $48,000. It doesn’t take much water to cause permanent damage to your home. Even if your home is not located directly in a floodplain or a flood zone, flooding can still cause extensive damage. About one quarter of all flood losses occur in low-risk and moderate-risk flood zones. 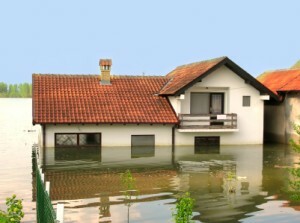 It is important to protect your home and your possessions with flood insurance that you can count on. We work with 15 of the best insurance companies in the business so that we can scan through all of their policies and find the one that provides quality protection at a great value. Our customer service is also the best in the business. When you call JMI Insurance with questions or concerns, you will always talk to one of our real agents right here in Portland. You won’t talk to a computed voice system, and you won’t be put on hold for extended periods of time. Our insurance agents truly care about the well-being of our customers, and will work around the clock to ensure that we find you the best possible flood insurance policy. When you work with JMI Insurance, you will experience truly exceptional customer service. 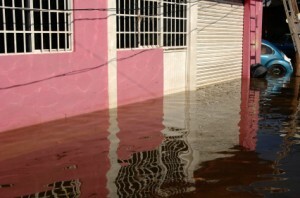 Flooding can happen suddenly and unexpectedly, and can wreak havoc on your home and your valuables. We will set you up with a flood insurance policy that will sufficiently protect your property at a price that you can afford. Don’t hesitate to contact us via phone or online. We offer free, no obligation insurance quotes!